Military There are 5 products. The SC-4GBIXXXX-M series is small form factor pluggable module for 1XFC/2XFC/4XFC singlefiber applications by using 1310nm / 1550nm transmitter and 1550nm / 1310nm receiver. It is withthe SFP 20-pin connector to allow hot plug capability. 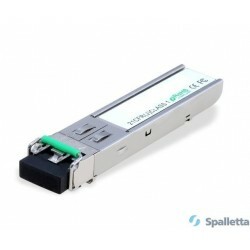 Spalletta’s SFP transceivers are high performance, cost effective modules supporting dual data-rate of SONET OC-48/SDH STM-16 and 80km transmission distance with SMF. 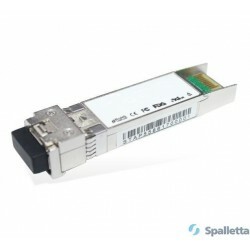 Spalletta’s SFP transceivers are high performance, cost effective modules supporting dual data-rate of SONET OC-48/SDH STM-16 and 40km transmission distance with SMF. 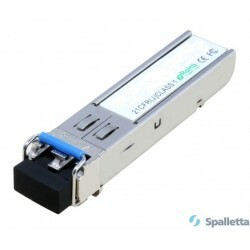 Spalletta’s Small Form Factor Pluggable (SFP+) transceivers are compatible with SFF-8431,SFF-8432 and support 10G Ethernet ER and 10G Fibre Channel .It is designed for use in 10G-Gigabit multi-rate links up to 80km of G.652. 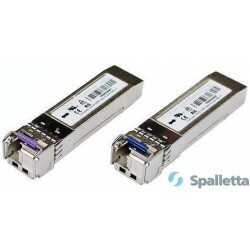 Spalletta’s Form Factor Pluggable (SFP+) transceivers are compatible with SFF-8431,SFF-8432 and support 10G Ethernet ZR and 10G Fibre Channel. It is designed for use in 10G-Gigabit multi-rate links up to 80km of G.652.